A prince imprisoned – a country in peril. Narnia…where giants wreak havoc…where evil weaves a spell…where enchantment rules. Through dangers untold and caverns deep and dark, a noble band of friends are sent to rescue a prince held captive. But their mission to Underland brings them face-to-face with an evil more beautiful and more deadly than they ever expected. The Silver Chair. The sixth, though sometimes fourth book (no, not letting this idiotic thing go yet) of The Chronicles of Narnia. This is the first book after we see the last of the Pevensie siblings. If you were reading the original publication order then this would be the first book in the series where the Pevensie siblings do not appear. I however, as stated in previous reviews, unknowingly followed the order my box set gave me which placed them in the chronological order. However you chose to read these books, or did read these books is up to you and probably does not really matter except when commenting about them in book reviews and trying to phrase certain things. Since this is classed as the fourth of the “originals” it does tie in with the Pevensie so we will look at it like that, despite all this extra knowledge due to the fact it now isn’t actually number four. Still with me? It’s horrid I know. The Silver Chair brings the return of Eustace, cousin and former brat of The Dawn Treader adventures. The story begins with Eustace returning to school after the holidays when his cousins Lucy and Edmund visited, and after his transformation in Narnia. This story also introduces a new character in Jill Pole; their relationship between the pair isn’t one of great admiration and fleeing from bullies is what gets their adventure going. Ah Jill Pole, the annoying and useless hero of Narnia. I apologise Jill, you were not that bad and you recovered well, but you did cause some strife. Dear Jill is suddenly and surprisingly thrown into the world of Narnia with Eustace as Narnia calls to help them, or get help from them, we are yet to find out. There is mystery and intrigue from the get go in Narnia. Despite being an adventure story Lewis manages to create a lot of questions and intrigue in seemingly simple storylines. Aslan appears early on, and it was interesting to see how he treats the non cherished children. I do enjoy The Silver Chair as a story, the new characters are a great change from the usual bunch, and now we have popped off the last of the famous four we get to explore more of Narnia. Eustace is a lot more bearable after his last adventure, and Jill is alright, but throwing her into this world where she is demanded of so much is a bad mix. Watching her fail at every turn is a tad annoying, I always got annoyed at her, but you can see how she faults and so you do understand which is almost more annoying. I think the new settings and people makes this a high favourite. More of Narnia is explored and it shows that lives exist away from the drama of previous books. Time has also moved a lot faster than in the real world and so the world has changed once again, creating new issues problems and a new history to learn. One of the new characters Puddleglum is by far a favourite character of mine; his cynicism and glumness is always a joy, and he is very matter of fact when you look past the despair he always seems to feel. It is not only new characters as The Silver Chair brings a few old faces again as the story connects more with Prince Caspian than to The Dawn Treader. Aslan’s appearances seem more aggressive than in previous books, though that too is understandable considering what happens. What I always enjoyed about this story was the magic involved; it is a different magic than that in previous books. We see the darker side and the evil and beauty other magic holds; similar to that in The Lion, the Witch and the Wardrobe but a little bit different again. The plot aides this magic well, but alone the story developed is actually quite interesting and engaging. Outside of the rest of the series and continual adventures it stands on its own fairly well. It was good not to rehash every bit of the past and just take the necessary components, something that some of the previous books over indulged in. Another advantage of removing yourself from the legend and past of the Four Kings and Queens of Narnia. With these later books being a little less continual you can say it kind of follows on, but the events of Dawn Treader are not in vain, it all comes together in the slightest ways. Characters and stories do still reappear and bring the world of Narnia completely together on the page. 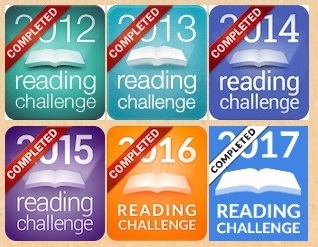 No good will come from reading this series in a random order, there is not enough recap to allow that, but by changing the order depending on editions it forces you to chose. Pick a version, whether original or chronological, and stick with it. It is always easier to read things in the given order (which ever order you choose) as it avoids confusion, and especially as the series comes to a close it is more important than before.